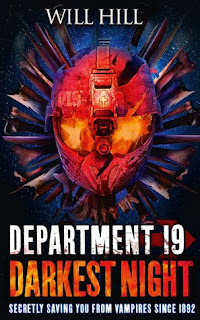 I am so pleased to have finally finished the Department 19 series. 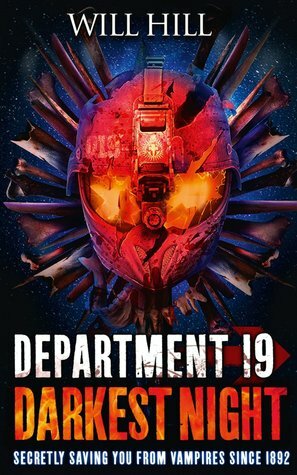 It has bee an awesome series which I have consistently enjoyed from beginning to end. I love that this series stays across from beginning to end. I loved it from the first book and stayed so excited for every book across the series. It is rare for me to get beyond the first book in a trilogy lately so for me to get through five books and still be excited is a rare thing and says an awful lot about how awesome these books are. I won't tell you too much about this book because I will spoil things and simply say the quality of this installment was exactly what I had come to expect from Will Hill. The action pulls no punches and keeps you on the edge of your seat throughout. The story is fast paced and exciting and the resolution at the end is very satisfying indeed. All in all a series I wouldn't hesitate to recommend highly.